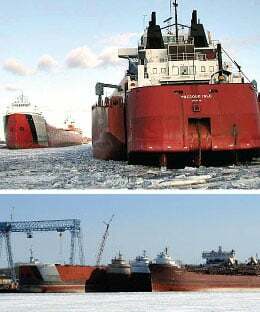 Many marine vessels in fresh water northern regions as in the Great Lakes area are placed in an inactive or laid up status during the winter months. 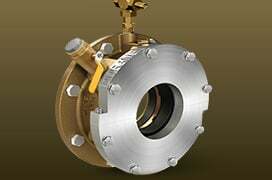 Johnson Cutless Stern Tube Filler is designed as an cost-effective engineered system used to remove water from stern tube to prevent disruptive damage to Johnson Cutless rubber bearings and stern tube caused by freezing water during inactive status. Since the stern tube is on a normally water-submerged portion of the hull, the water cannot ordinarily be removed by gravity drainage. This compound can be used while vessel is in water or for dry land storage. Stern Tube Filler is a non-absorbent compound, is not consumed during use, and needs no replacement in stern tube housing. Once in place, it needs no maintenance attention or periodic servicing during period of winter lay up. 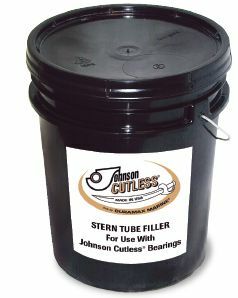 Johnson Cutless Stern Tube Filler is available in 5 gallon size. Johnson Cutless Stern Tube Filler Is An Engineered Environmentally Friendly Water Displacement Compound. Johnson Cutless Stern Tube Filler is not harmful to water-lubricated rubber bearing or other water-lubricated bearing materials. 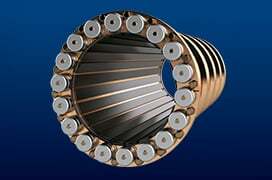 Gives bearings and stern tubes maximum winter freezing protection, it remains continuously effective and is easily flushed out with warm water without any damage to environment. 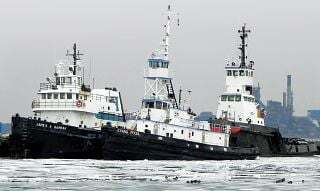 It is designed for water-lubricated propulsion systems eliminating the need to use heavy oil, a tallow mixture or other such non-miscible liquids that requires time-consuming steaming to reduce viscosity of medium so it can be pumped or flushed out when vessel is restored to active service. Use of this type of medium is hard to remove and can cause contamination of harbor waters. The viscosity of water-soluble stern tube filler is that of heavy grease. To facilitate injection into stern tube, bring slowly up to temperature of approximately 70° Fahrenheit (preferably by storing in warm room for several hours). Then stir thoroughly before using. It can be injected into the stern tube through the water lubricating line with a grease pressure gun. Break the water lubrication line to the bearings at the stern tube and completely fill the stern tube and all bearings below the water line. Filler must be flushed out with warm water before turning over shaft in the spring. It can be easily removed prior to placing the vessel in operation. Flush from the stern tube bearings by circulating warm lubricating water before vessel is activated again. 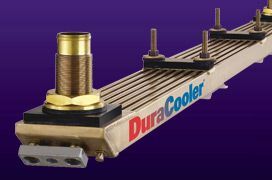 Purchase your stern tube filler directly from Duramax Marine in easy-to-handle 5-gallon pails. (37 pounds per pail). Call today for your price quotation. Available in 5 Gallon Size. Do not apply sudden extreme heat. Do not contaminate with oil. Keep covered when not in use. 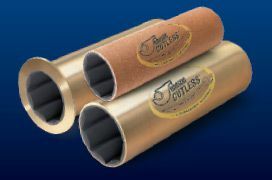 Cutless is designed with a molded, engineered nitrile rubber lining inside a naval brass shell. 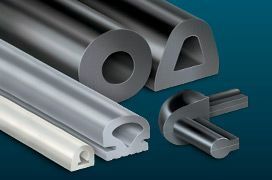 They are available in sizes from 3/4" to over 36". They come in solid and split shell design.